In one sense, this year was the least productive sewing year I’ve ever had. To be frank, the past few years of sewing for others was really killing it for me. 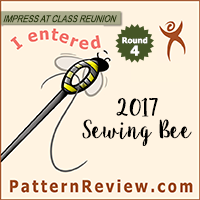 I think I sort of needed some down time – it was really frustrating to want to sew things, but not have the time or energy because I had to sew stuff just because I needed to get it done. But I’ve slowly been finding myself excited by projects again. In a different way, this year I’ve actually done a lot for my sewing – I’ve substantially upgraded my sewing space and supplies (I still need to do some show and tell, I know) – which has ultimately made cutting and sewing less painful for my back,and I have to admit this is not a small part of why I feel like I’ve been producing far more at the end of the year. I injured my back in July, and so I didn’t do much of anything in the middle of the year; it was too painful to stand and cut fabric or even sit at the machine for long periods of time. My back injury has also meant less time skating, which has meant more energy and time during the rest of the day. While I would love to be skating, I’m happy that this seems to be translating into more sewing; hopefully the trend continues next year. (1) My blue Burda top. I wear this top all the time. Seriously one of my favorite makes of the year. It feels like I’m wearing a sweater, but it looks a bit classier than that. And it has pockets. Love it. (2) Teal Burda Easy Cut Out Dress. Finishing this really was the project that got me back into the sewing mojo. I worked on this dress for a year, so it felt great to finally get it done. (3) Bridge Four Biker Jacket. This was a jacket I’ve been wanting to sew since the pattern came out in the March 2013 Burda. The fact that I was able to combine it with one of my favorite book series makes it awesome not just because it is a great color, but also because it is secretly super nerdy. (4) Geek/Gift Sewing. While I haven’t been as excited about sewing on commission, I have had a lot of fun sewing gifts. Mostly because they tend to be easy projects that can get finished in only a few hours. Well, that and I get to play with crazy fun fabric that just makes me happy to look at. (5) My first refashion. This dress wasn’t even for me, but it felt great to chop something apart and turn it into something that can be worn and loved. It was like an instant gratification project. I’ve always enjoyed looking at refashions on other blogs – might be something I’ll want to do more of in the future. And that’s about it! Like I said, not a crazy productive year, but, just like Burda, I’m turning it around heading into the new year. 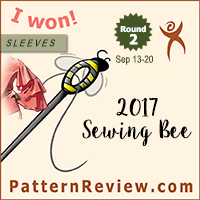 Here’s hoping that the positive sewing trend continues! I think you’ve done seriously well! And glad you’ve found a way to reduce back pain while sewing. We do this to enjoy it after all. This is my daughter’s 3rd year of competitive skating. I love the way you give me insight into skate equipment (wheels, bearings, plates…). My wife just finished her first practice dress, and it was so difficult to know all the steps, and where she might I problems. I showed her your web site and she was so very glad!!! Thank you!